“I found I could say things with color and shapes that I couldn’t say any other way – things I had no words for” – Georgia O’Keeffe. This exhibition includes a combination of photographs, graphics, and information pertaining to Ukrainian culture—all of which will help me tell a story; the story of two young girls from Ukraine journeying to America with a new family. I want my art to act as beacon of light, illuminating the Ukrainian people, as it is also the anchor connecting me to a past I never want to lose. 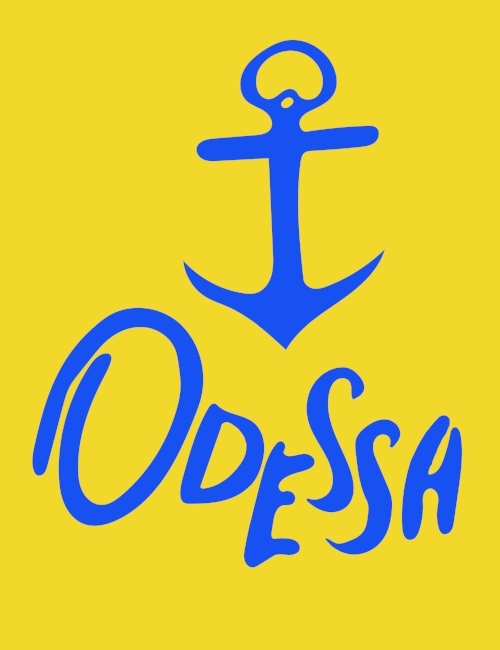 The primary colors of this show are blue and yellow, the colors of the Ukrainian flag. These colors symbolize the blue of the open sky and the yellow of the wheat swaying in the fields. I want to evoke the scenery of my homeland, showcase how my relationship with America ties into my Ukrainian identity, and finally, draw attention to the political situation of people in Ukraine today. My photographs are in black and white so as not to distract from the simple statement made by each photo and will contrast with the illustrations, which are in blue and yellow. Each photo acts as a stage for the panel with the illustrations highlighting my personal narration and response. There are two Ukrainian designers that have influenced my art either by concept or by technique. Anastasia Yevtushenko and Sofia Demianchuk are two contemporary Ukrainian illustrators. Yevtushenko influenced my concepts. In one of her projects, she created a world map with a small, illustrated avatar representing each country. She inspired me to begin working on some small illustrations and to find my own style. Demianchuk’s vector illustrations caught my eye, and were my main source of inspiration for technique. Our projects are similar in style, turning simple sketches into vectors. These artists drew me to their work because we came from the same heritage. Many artists overseas are oppressed by their governing powers and cannot give a voice to their people. I have the opportunity to be a voice for the Ukrainian people and, as an artist, raise awareness and call for peace.